One of many forms of public transport in San Francisco. These have a nice retro look. 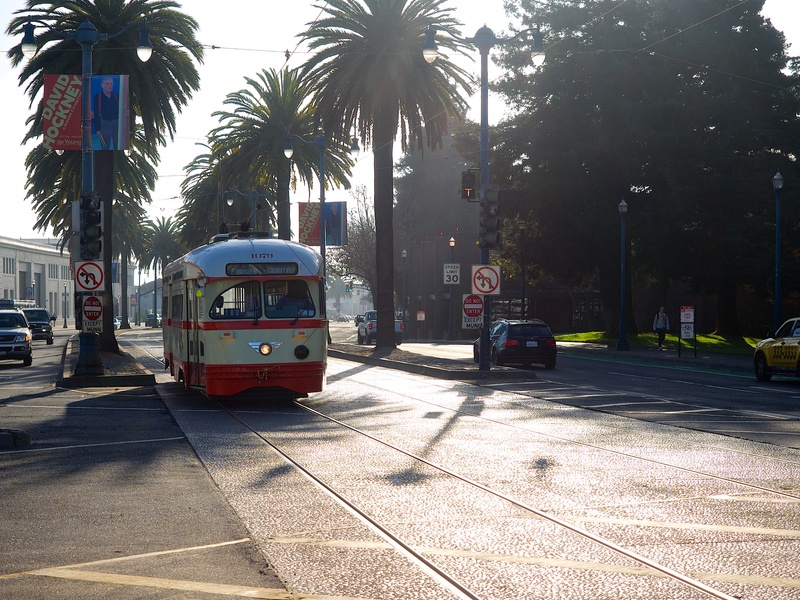 The Nice Retro look is intentional…MUNI trots out the old retro cars for you and me and the ‘wow’ factor.